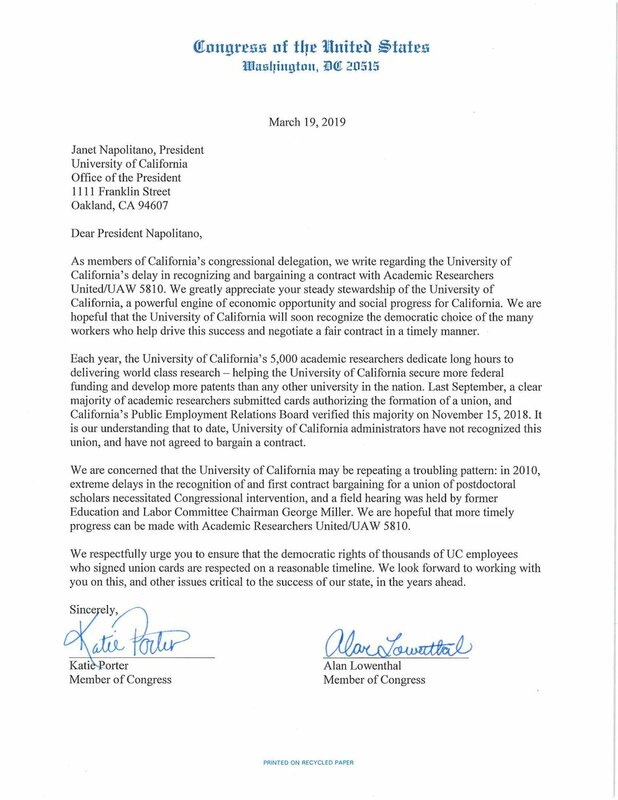 Earlier this year, a group of Academic Researchers reached out to our state and congressional leaders to let them know that UC was stalling on recognizing our union. Last week, sixteen members of the California state legislature asked UC to move forward, recognize our union and bargain a fair contract. 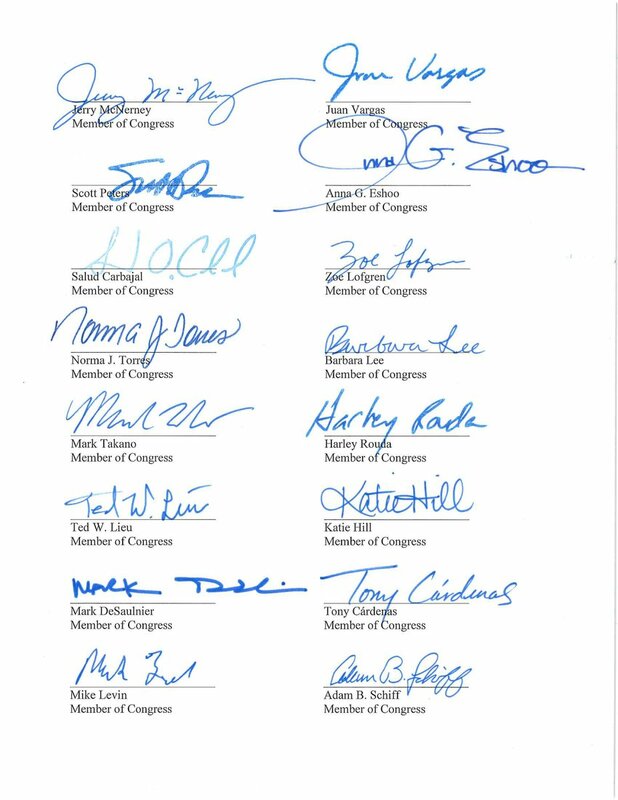 And yesterday, thanks to collective action, twenty members of Congress led by Representative Katie Porter joined them and told UC that these delays have gone on long enough. 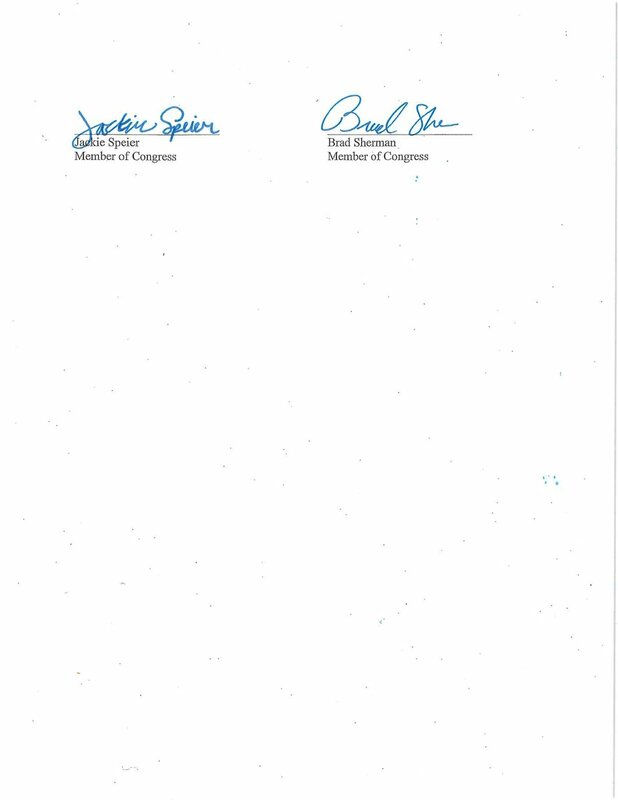 Their letter to UC President Janet Napolitano reads: “We respectfully urge you to ensure that the democratic rights of thousands of UC employees who signed union cards are respected on a reasonable timeline.” You can read the full text of the letters, and see the signatures of all twenty members of Congress, here. This is an important step forward in our effort to secure recognition for our union. Standing together, we asked our elected leaders to ensure our rights are respected – and they are doing just that. Thank you for everything you are doing to make our union strong. We will keep you posted on the University’s response. Have you endorsed our initial bargaining demands yet? Approximately 2,000 Academic Researchers have already endorsed our initial bargaining demands! If you have not taken the time to read and add your name, we strongly encourage you to do so to keep up our momentum to win union recognition and a fair contract.